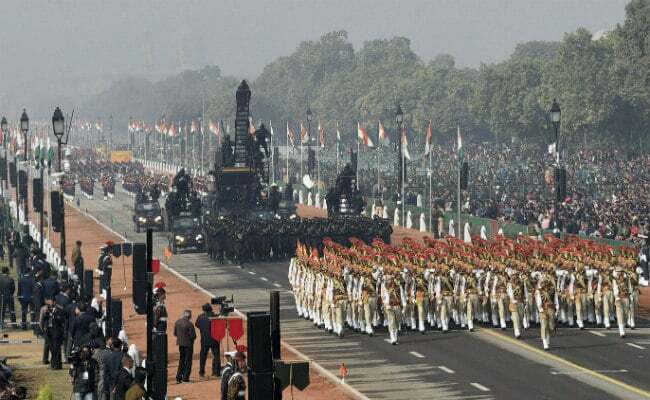 NEW DELHI: “Clean money” would be in focus on Rajpath in the Republic Day parade on Friday, with a tableau from the Income Tax Department themed as “Operation Clean Money” for the occasion. The IT Department has chosen the theme for its tableau this year amid government’s efforts to fight black money, which included the announcement of demonetisation on November 8, 2016. The parade has traditionally been a display of the country’s military might and cultural diversity. According to a brief on the tableau, the tableau will showcase the collective support of the people of the country to the “clean money drive” while also depicting how unaccounted wealth brings stress and anxiety. The rear part of the tableau will showcase how income tax payment contributes to the nation building process.The tableau also highlights the “taxpayer-friendly approach” of the IT Department for honest tax payers, while it keeps an eye on the tax evaders. Curbing black money has been among the priorities of the government and Prime Minister Narendra Modi has said on domestic as well as international platforms that steps like demonetisation and linking bank accounts with Aadhaar is targeted at removing black money.